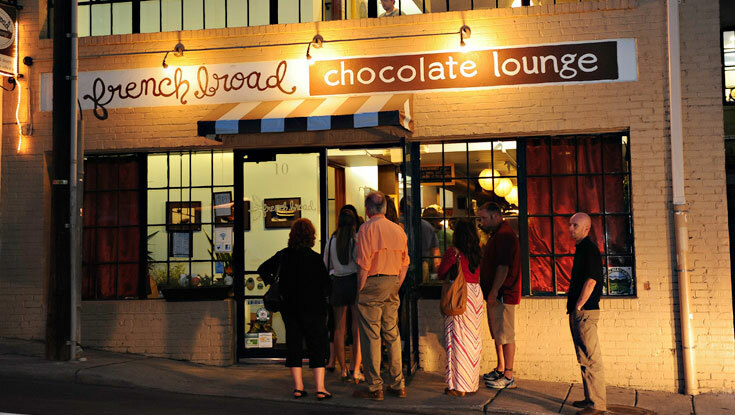 Chocolate lovers should not miss a visit to Asheville’s French Broad Chocolatier. Creators Dan and Jael Rattigan use fair trade cacao (cocoa) from Peru to create chocolate for their line of chocolate bars as well as special creations offered at their retail store, the Chocolate Lounge. The Lounge is located near South Pack Square (Trolley Stop) and offers unique creations. Or you can visit the Factory & Tasting Room located in the South Slope District. During a factory tour, learn about their craft chocolate-making. Watch them sort the beans fresh from a Peruvian farm, roast them via the sun's energy and then grind, temper and mold them into bars. The owners created and/or customized much of the equipment themselves. 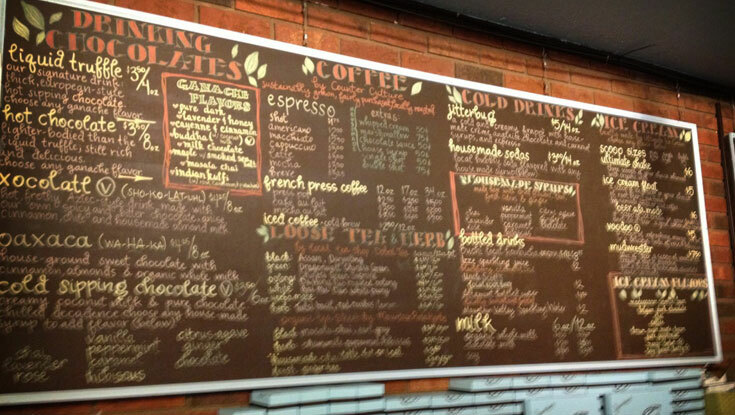 This is French Broad Chocolate’s newest addition–A Coffee, Ice Cream & Chocolate Boutique! 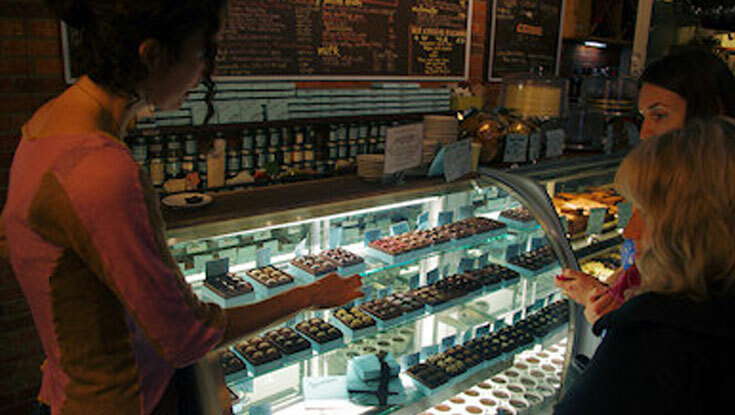 Stop in and peruse a huge variety of craft chocolate bars, artisan truffles, homemade ice cream, coffee and much more. Chocolate + Milk is connected to French Broad Chocolate Lounge, with its own entrance. Hours: Daily Noon-6pm | Guided Tours held every Saturday at 11am (call to reserve a spot!) Self-guided FREE tours any day, 2-5:30 PM.